Pinterest is more than a collection of photos and playful captions. It’s also a superior marketing opportunity - if you fully utilize your profile. Local SEO (that oh-so-crucial but oh-so-elusive technique: blending keywords, directory links and optimized pages to achieve high SERPs) demands a proper Pinterest profile. Consumers are flocking to this social network, exchanging images and sharing content. It’s become the 49th most popular desktop hub in the world and its membership exceeds 300 million. Be certain that your account name and username both reflect your business. Try to do an exact brand match if possible. Less is often more - but not on Pinterest. Take advantage of the description box and use keyword-infused sentences to explain your company’s products and services. Provide readers with an insightful biography about your company. List pertinent information, such as: founding date, top-selling products, other social accounts and more. Encourage users to seek out your official site and mention any sales or promotional events (these should be replaced as needed). Pinterest is a site defined by images. 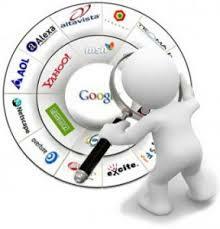 Creating a detailed profile, however, can bolster local SEO efforts and increase overall visibility. Contact Webstager to learn more.